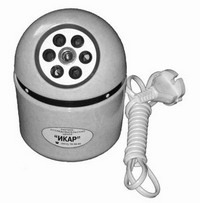 The system AWIK - medical prophylaxis devices for air-, water-, ion-, and EHF therapy. 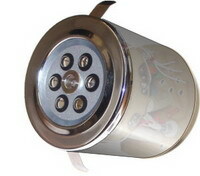 "Stel" - a device for production of washing, disinfectant and sterilizing liquids. Production of the device based on the license agreement between ZAO 'IKAR" and OOO 'LET' and OAO VNIIIMT NPO 'Ecran' (Moscow). Models of the devices "Izumrud-SI"
ATTENTION: If a device is ordered by an artificial person, the order is free from VAT. Private individuals should state their name, address, telephone number with prefix, passport number and series, Tax Payer Identification Number. (***) if the number of ordered devices is 100 and more. "LCh-1" (mod.01, 02, 03) - portable model, pendant model and computer model respectively. Variants of delivery – via mail, air mail, railway mail, 'GRUZOVOZOFF' company - at your option. Delivery price in Russia - 600 roubles for a device (N 1-4, 20-22), insurance included. Delivery in other countries- custom+ delivery+ package price. Because of automatic procurement an ordered device will be delivered in 1 month upon payment transfer to our settlement account. H2O - drinking water production mode, ANC - disinfectant, washing and sterilizing liquids production mode (anolyte, katolyte). Models 20, 40, 80 are automated and conform to European standard of quality. Depending on the model, a device can have a reducer, electromagnetic valves, prefilters, a storage tank level sensor, etc). Available models: mod. 01k - multi-step purification automated device for public places; has a storage tank (50 litres) which is supplied for extra charge; mod. 01d – a dispenser-type automated device, with water heating and cooling systems; 04 - S – a device with a spare activation unit. Activated solutions conform to EPA standard and to the standards set by the Ministry of Public Health. The solutions are environmentally-friendly and economical. 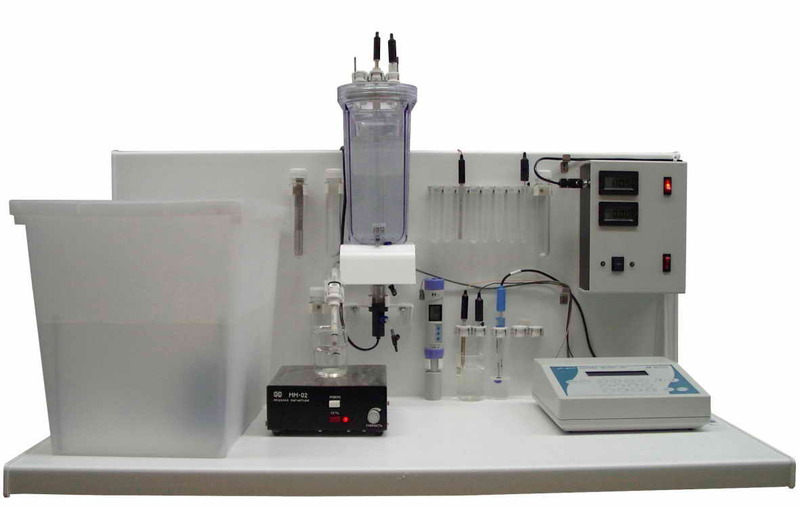 In contrast to different filtration and sorption water purifying systems (comparative efficiency of water purification methods), the devices "Izumrud - SI" purify water by means of oxidation-reduction reactions taking place in electrochemical and catalytic reactors of flow-through devices. The process of purification is very intense, but energy consumption does not exceed ~ 1 watt/L. Performance life of flow-through devices is 10000 - 25000 hours. Purifying and activation technologies combine high efficiency and economy; a liquid costs ~ 0,05-0,15 roubles per liter.